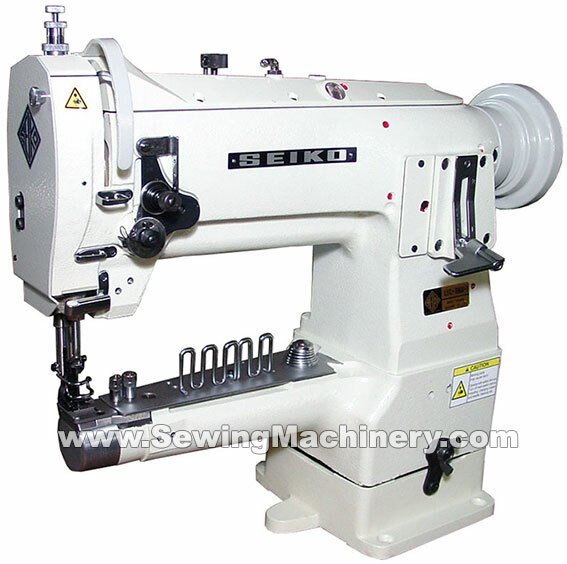 Seiko LSC-8BLH-1 single needle narrow cylinder arm lockstitch sewing machine with bottom feed, needle feed, walking foot top feed and large hook for use with medium to medium-heavy weight materials. 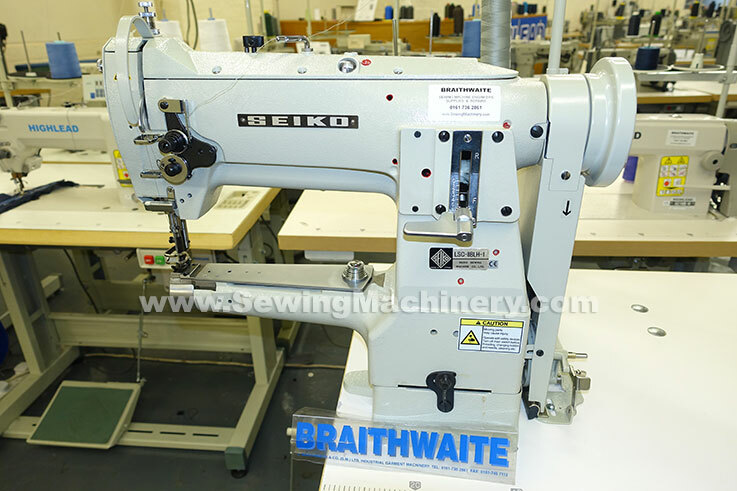 Suitable for sewing material such as plastics, leather, vinyl, heavy fabrics, synthetics etc. Features a narrow cylinder bed shape with 258mm clearance to the right of needle and a powerful triple feed action. 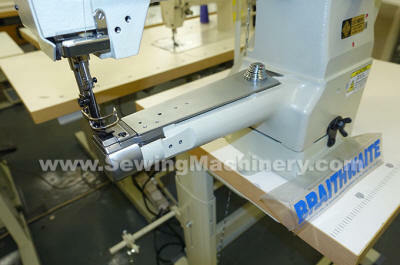 The narrow cylinder arm is particularly useful when stitching three dimensional and shaped articles which may be difficult to handle when using a standard flat bed model.